You can’t beat them, but you can join them. Get inside the legendary superhero team. Who’s who in the Avengers? We all know the masks. Iron Man. The Black Panther. Captain America. But do you want to meet the real people behind the famous faces? Look in here. You’ll find: original colour art by Marvel’s finest artists. 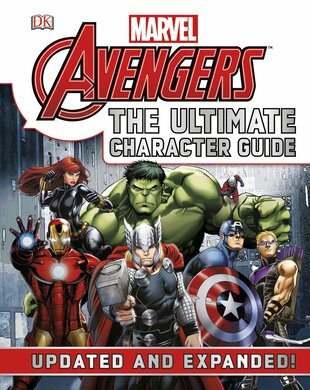 A-Z profiles of over 220 classic Avengers heroes and villains. The rundown on the latest events in their world. Basically, it’s the next best thing to actually being part of Earth’s mightiest superhero outfit. Cool or what?